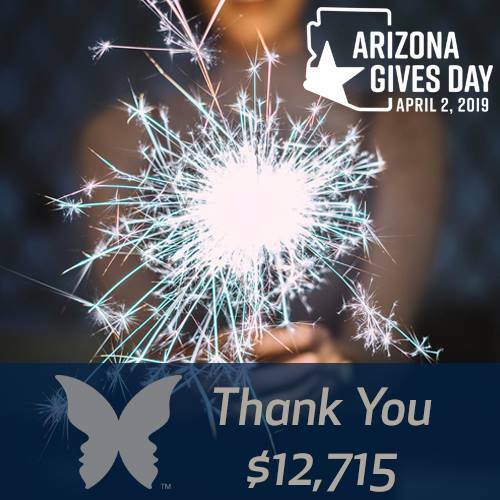 Because of your continued support and generosity, Duet raised $12,715 in donations in a short 24 hours on April 2, 2019 as part of the Arizona Gives Day online day of giving. For every dollar raised, Duet is able to provide the much needed free-of-charge services for homebound adults, family caregivers, faith communities and grandfamilies. We are especially grateful for the generous $5,000 match donation from Kathy and Bill Tabinsky. By partnering with Duet through donations, you help provide a continuity of care that keeps pace with our growing community needs.